Yasuyuki Otsuka welcomes you to the official international website of the Meifu Shinkage-ryû Honbu Dojo in Japan. This website is to promote Meifu Shinkage-ryû globally. In addition, it serves the purpose of providing accurate and the most up-to-date information about our Martial Art. 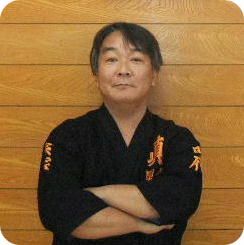 Otsuka-Sensei is the current Head Master of Meifu Shinkage-ryû (Soke). In addition to teaching Meifu Shinkage-ryû in Japan, he teaches in official Branches and Study Groups (Keikokai) in Asia, Europe, and North and South America. His skills are recognized and highly appreciated by many Budoka in the world. Currently Otsuka-Sensei guides and teaches about 200 students world-wide. This number has been growing steadily in the last 7 years. Meifu Shinkage-ryû includes several specialized weapon skills that can be traced to the ancient Samurai in Japan. 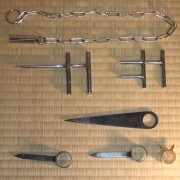 Many of the weapon skills taught in Meifu Shinkage-ryû were once kept as secret or hidden techniques, only taught to more advanced students of traditional schools such as Katori Shinto-ryû. Meifu Shinkage-ryû teaches skills using Bo-Shuriken (棒手裏剣). 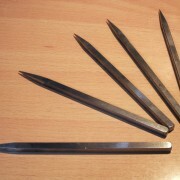 Such throwing spikes are made of 14 to 15cm long square bar steel, and are 6 to 7mm wide. The official MSR Bo-shuriken were designed by Someya-Sensei. 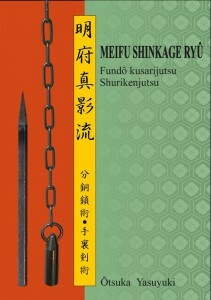 The Fundo Kusari (分銅鎖) is the second major weapon taught in Meifu Shinkage-ryû. 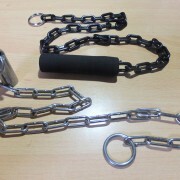 A safety Fundo Kusari, made of a plastic chain and a soft “weight”, is used to teach novice practitioners in a safe manner. More advanced practitioners of Meifu Shinkage-ryû learn how to use hand held blades, known as Shoken (分銅鎖). Shoken are part of a specialized category of hidden weapons, known as kakushi-buki (隠し武器). Several additional skills are part of theMeifu Shinkage-ryû curriculum. These techniques were explored and further developed by the first Head Master (Soke) Someya-Sensei in the sixties and seventies. Such skills include empty spear hand techniques known as Shutojutsu (手刀), as well as techniques from sword fencing (Kenjutsu, 剣術). These two videos provide an overview of some of the Shurikenjutsu and Fundo Kusarijutsu curriculum. The video footage was recorded during Prague Seminar in 2011. Reproduced with permission from Filip Bartos. This book is now available! The 2015 English Edition of Otsuka-Sensei’s book is now available. This book can be ordered directly through Otsuka-sensei. Otsuka-Sensei’s new edition of his highly appreciated book is updated to provide excellent and detailed information about the history and skills in Meifu Shinkage-ryû.